Based on the novel adaptation by Xin Yi Wu. The general premise centers around the heroine’s complicated relationship with two brothers. The drama adaptation will alter the relationship between the characters. 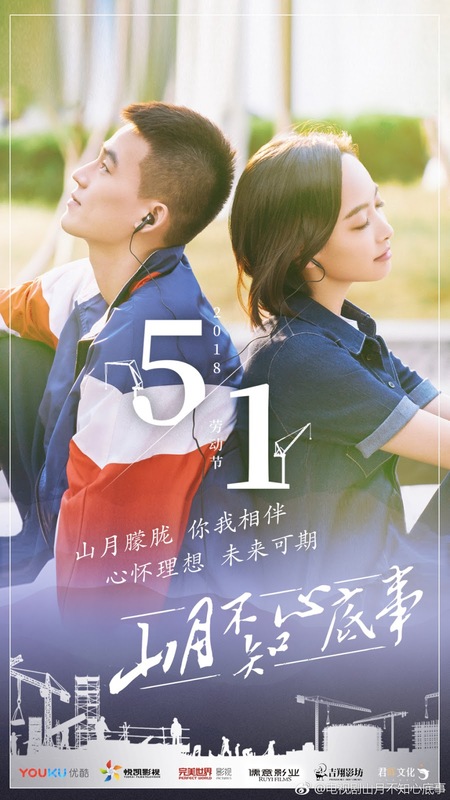 The Moon Doesn't Understand My Heart 山月不知心底事 is an upcoming drama adaptation based on a novel by Xin Yiwu 辛夷坞. The show has released new stills and even a poster to commemorate Labor Day. All I'm really seeing in the pictures are Victoria Song and Oho Ou being all lovey-dovey in school. I think I can grow to like these two, if it were that simple. Sadly, the story is one of those gut-wrenching romances where two men (brothers) fall for the same girl. The plot kind of gave away the ending for me, and in the interest of not revealing too much, let's just say that things get twisted. Now I'm curious as to who will be playing the third leg of the triangle. from the trailer, vic's character in here gives off the same vibe of guan pi pi from moonshine valentine lol..
Vic looks the same as guanpingping. Hope she can be more brave and confident here. The description says two brothers but I only saw one guy from the promo. Hope the other guy is hotter because the main lead this time is not my favorite.